The next piece up in my string of Bowen Designs Full Size Statue reviews is the Classic Kitty Pryde statue, released earlier this year. Anything Kitty is a lock for me, as she’s up there as one of my favourite characters. I think I was about the same age as Kitty was when I started reading X-Men, so it was a bit like I was seeing those initial stories through her eyes. I’ve always been surprised that Kitty Pryde merchandise isn’t a bit more prevalent, as she’s such a popular character, and was glad to see her getting the FS Bowen treatment. There was also a Bowen Exclusive Modern version of this statue that sold out very quickly and caused quite a stir by doing so. I’m not clear on why the modern version was the exclusive, especially considering that the Bowen Bust version of Kitty was also the classic first appearance costume, which isn’t exactly her most attractive or iconic look. I missed out on a chance for the Exclusive Modern Version, but wasn’t too worried about it. The Classic goes quite nicely with a good bulk of my X-Men Statues, and I’m hopeful that we’ll eventually see a release of Kitty in her Excalibur Shadowcat uniform, which to me is her most iconic look and best costume. I much prefer it to the generic gear she’s been wearing for so long now. 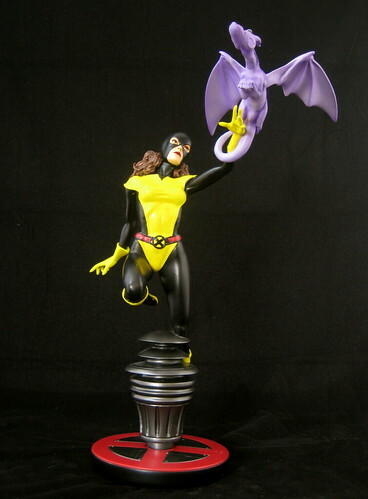 I’d probably have to draw the line at two Kitty FS statues so leaving room for a Shadowcat version makes sense – as long as Bowen eventually comes to the party!! As for the statue at hand, it’s a very nicely constructed piece that treads the line between museum and action and will fit in amongst either style. The sculpt is beautiful, with very nice lines and an elegant pose, and the paint on the entire piece is excellent. The only place this piece falls down a little bit for me is Kitty’s face. The expression is a bit too blank and her eyes a bit too lifeless. It’s not just the mask, as the Bowen Mini-Bust of Kitty in the same gear has quite a strong facial expression. In comparing it to the Modern version, it may also have to do with the tilt of Classic Kitty’s head. It’s in a bit of a more artistic pose than Modern Kitty, who is looking along the same line as Lockheed is pointed and thus seems a but more purposeful. It’s a small criticism, but it keeps the piece from hitting full marks. This statue also includes Kitty’s pet dragon, Lockheed, who is posed extended from Kitty’s left arm and adds greatly to the height of the statue. Lockheed is very nicely sculpted and designed. I understand that Lockheed and Kitty are very closely associated, but as someone who isn’t very wild about super-pets, I would like to have had the option of a separate arm so that one could choose whether or not to display Lockheed. Kitty Pryde is, after all, an iconic X-Man and a true heroine in her own right. A spare hand much like the option of displaying Iron Fist with our without his energy fist would have been a very welcome touch. One thing I really appreciate about this statue is the base. It’s not terrible wide, which makes this a statue that can be fit in around some of the statues with larger bases to maximise display space. It’s not a throw-away base, as there is a small plinth present which allows a clever demonstration of Kitty’s phasing power, but in a way that doesn’t obscure part of the statue from view in the way that having her phase through a solid wall might. This is a clever design! All up, this is a successful piece that is just missing that tiny spark of life needed to make it perfect. I really do hope for a Shadowcat statue somewhere down the line to make sure that all of the bases have been covered with this important X-Man. I’d even be so bold as to suggest I’d be thrilled with a non-phasing, non-dragon included version! I guess time will tell! Seeing how Kitty only wore the stock X-man costume for three issues I wonder why this was released at all. Maybe the line could be called obscure costume line or something? Otherwise a beautiful sculpt, one more thing though, when Lockheed was found this also wasn't the costume she was in. 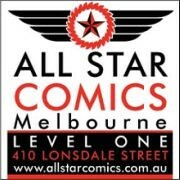 Just a continuity thing for me, but little things go a long way. Meh, I don't particularly like this statue, and I blame it all on the costume. It's horrible. The modern statue looks much better.